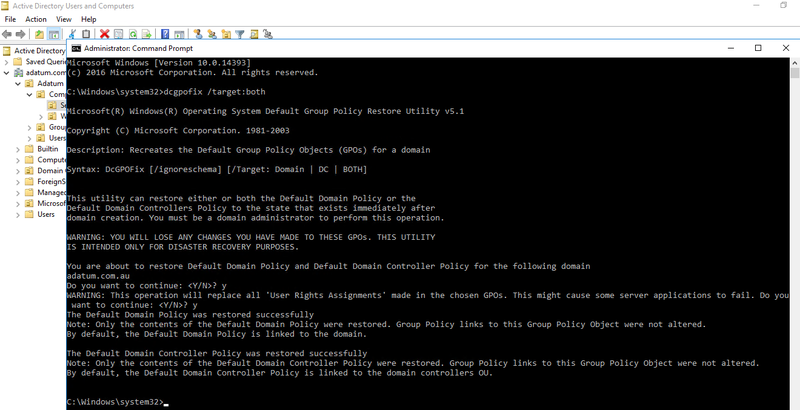 Does this overwrite the existing editted Default Domain policy? Hi Rikesh, yes it should. What ever changes that were made from the default configuration are removed.